After Real Madrid announced the first signing of Zinedine Zidane’s second spell in charge on Thursday, exits are now being touted to raise funds. As noted on the club’s official site, Porto defender Eder Militao has agreed on a contract until 2025 and will join Los Blancos this summer to play a key role in their rebuild. 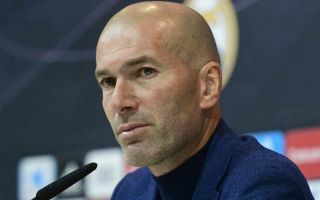 It comes after Zidane opted to return to the Bernabeu after what has been a disastrous campaign following his exit at the end of last season. Evidently, there have been discussions with club president Florentino Perez on promises with regards to the squad, as Real Madrid are expected to invest heavily in rebuilding it this summer to ensure that they compete for major honours again next year. According to El Confidencial though, there could also be a number of significant exits this summer to raise funds and balance the books, as Madrid will need to be sensible too and consider FFP. In order to do that, it’s suggested that they hope to raise around €100m from the sales of James Rodriguez and Mateo Kovacic, who are currently out on loan at Bayern Munich and Chelsea respectively. A further €50m could come from Theo Hernandez, Martin Odegaard, Lucas Silva and Borja Mayoral leaving the club, but it remains to be seen if there is enough interest to get them off the books. With that in mind though, it does seem like a very sensible plan to not only create space in the squad but also to raise funds to cover their spending and perhaps even just reinvest back into the squad to transform the group this summer. After crashing out of the Copa del Rey and Champions League this month coupled with being 12 points adrift of La Liga leaders Barcelona, an overhaul is arguably needed at Real Madrid ahead of next season.